It’s hump day, you hate your job, and you just want to ride. We get it. So watch these recap videos of some great racing and don’t worry if those TPS reports get done today. There’s motorcycles to watch, and those TPS reports will be there tomorrow. ATV and motorcycle racers in major series are poised to win cash contingencies from Maxxis, with the company offering a total of more than $1.2 million in 2014! Maxxis is offering cash to eligible riders in the AMSOIL Grand National Cross Country Series Presented by Maxxis (GNCC); World Off-Road Championship Series (WORCS); ATV Extreme Dirt Track National Series (EDT); Transworld MX Series (TWMX); Mid America Cross Country Racing Series (MAXC); New England ATV Motocross Series (NEATV); Mountain Dew ATV-MX National Championship; and the AMA District 37 Big 6 Grand Prix Series. Share Your Adventure in Maxxis’ New Contest! Re: Share Your Adventure on Instagram in Maxxis’ New Contest! Read moreShare Your Adventure in Maxxis’ New Contest! Maxxis Support Application period opens! Read moreMaxxis Support Application period opens! Thomas Brown celebrates on the podium. 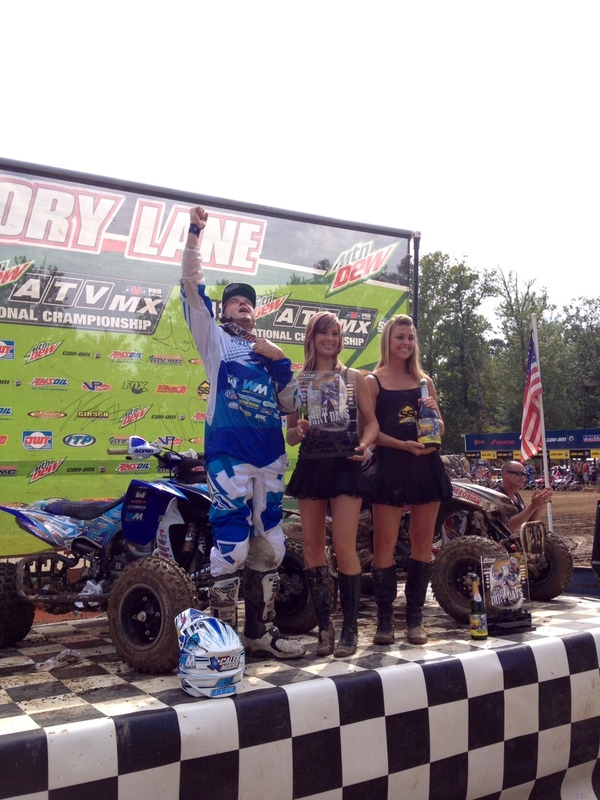 The win didn’t come easily for Brown, who overcame a massive wreck to take third place in the first moto. Late in the first lap, he was thrown over his handlebars, and his bike rolled over him, but he was back in the race in matter of seconds.